This is a one-off item. 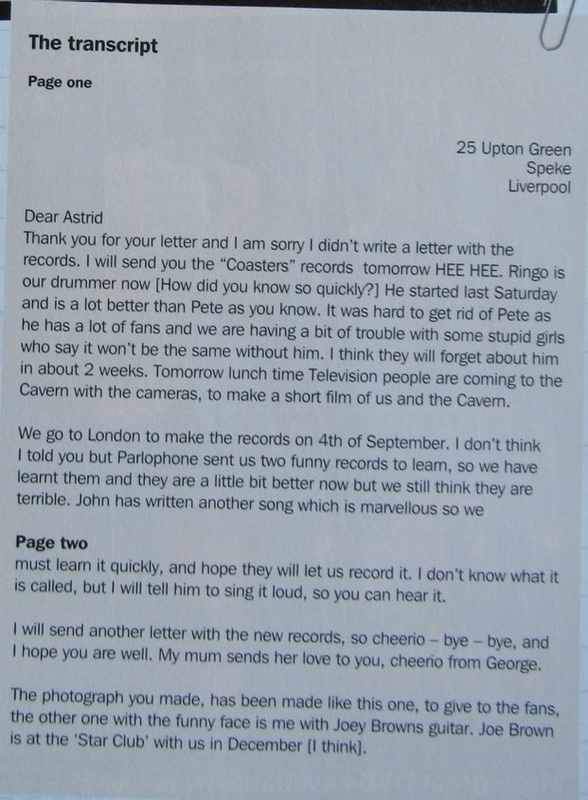 It's an extraordinary hand-written letter by George Harrison, that was sent to Astrid Kircherr in 1962. It has so many fascinating and incredible historical events in The Beatles' lives, described at a pinnacle time in their career. I bought this directly from a friend of Astrid's who she had donated it to. Astrid kindly completed the letter of authenticity. 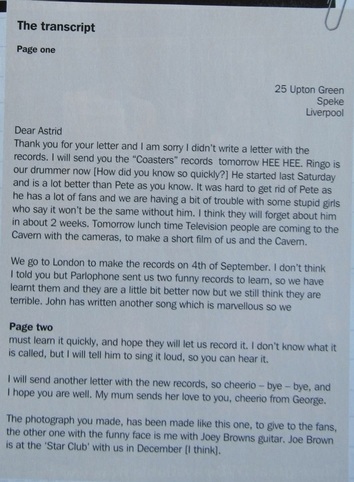 Note that this is the only remaining page of the original two page letter. The first page writing is indented in to the second page. I wrote an article on this item in Record Collector magazine, photographs of which are included here. You can read how the contents of page 1 of the letter were forensically extracted.